Combine all marinade ingredients and stir. Thread vegetables onto skewers. 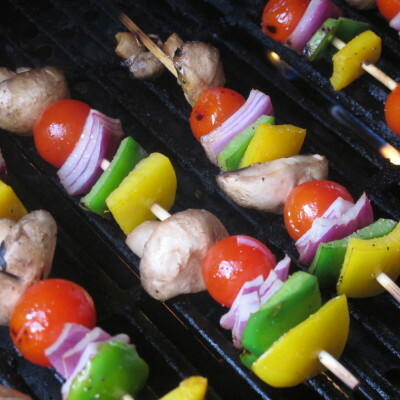 Brush marinade over the top and grill for 10-15 minutes until vegetables are tender; turning occasionally. Serves 4.